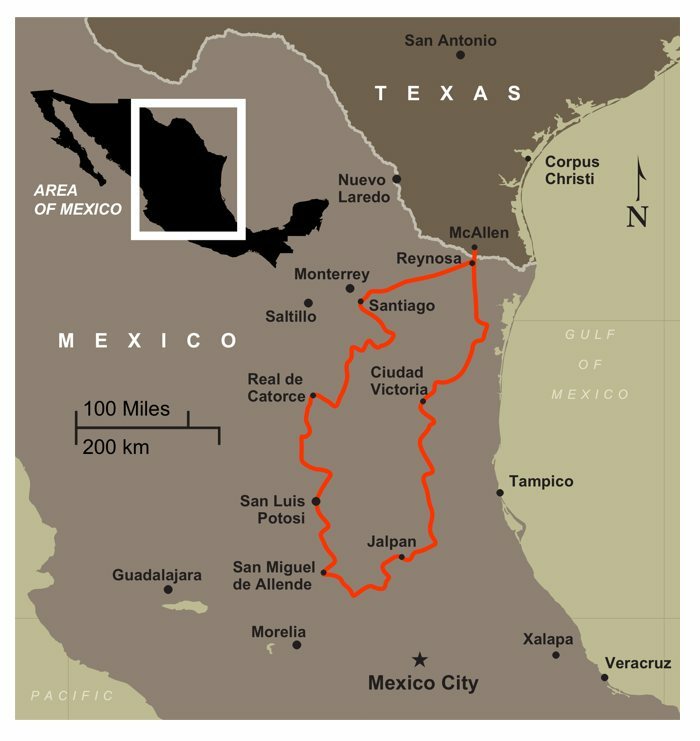 Colonial Mexico Motorcycle TourRoad touring at it finest! The Colonial Mexico Tour is a road tour meaning it is on paved surfaces throughout. Any style, make and design of street legal motorcycle is suitable. This is a tour ideally suited for couples as well as single riders. This tour is one of our longest running and most popular Mexico tours. It features the Spanish Colonial influences of the country highlighted by the well-known expat enclave and art community of San Miguel de Allende. You will fall in love with San Miguel. The riding is some of the best offered in Mexico. We encourage you to ride your own motorcycle with assistance from MotoDiscovery in getting insurance and property documentation to bring your bike into Mexico. Rentals are also available. Call for availability. The Colonial Tour is an ideal platform for creating your own private, customized tour, created just for you, your friends, riding club or motorcycle dealer sponsored event. Contact MotoDiscovery for details. The Sierra Gorda is a section of the eastern Sierra Madre mountain range where you will find the most northern cloud forest on the continent. It enjoys a variety of scenic terrains from tropical hillsides with climbing coffee plantations to pine forests and then settles into a vast desert valley. The curves will delight the sporting rider. San Miguel de Allende is a town we have come to know well over the decades. Many of our Mexico-based staff live here! It has Spanish colonial charm, the Santa Fe of Mexico, known for great restaurants, art galleries, a fun nightlife and a blend of native Mexico with modern chic. It is listed as a Mexico Colonial monument city and a UNESCO World Heritage Site. Dining with MotoDiscovery is a culinary experience. The food of Mexico never fails to amaze our riders. Forget about ordinary Tex-Mex. This is the real thing. You’ll gain a few pounds! Our staff is the best. Our roots originate in the gracious simpatico world of Latin America where your pleasure and happiness means everything. Experience authentic adventure with MotoDiscovery. Fantastic. This is a MotoDiscovery Road Tour meaning all surfaces should be paved, unless you wish to get out and explore and get a little dirty. Count on open deserts, pine forests, the tropics, mountain vistas and a bit of free way. This one has it all. Yes! Definitely. Mexico is an enchanting country and The Colonial is special. If your partner is not as enthusiastic about motorcycles as you are, they may ride in the support vehicle on a space-available basis. This is not an uncommon request. Just let us know if this is a preference. At MotoDiscovery dining is an important part of the travel experience. On most occasions you are free to order what you wish from the menu. In some cases we have family style dining. We consider the food of Mexico to be exceptional and you can count on us to enthusiastically share with you the best cuisine the country has to offer. If you have special dietary needs, just let us know. We will accommodate. We won’t say that it never happens but we’ve been at this for over three decades and it is becoming less and less of an issue. We have some tips to share with you. Relax. Don’t let this be a deterrent. This is far overblown and a lot less common than you might think. We hear so much about Mexico and insecurity? We’re not naive. It has been a tough decade in Mexico. MotoDiscovery actually pulled out of the north eastern area of the country from 2010-2014 because we felt it was simply unpredictable. But we are back; the towns and villages are again feeling vibrant. You need only talk to the locals to see that things have changed for the better. Travel always entails risk. But put things in perspective; over 150,000 Americans visit Mexico each day. Nearly 24 million visitors in 2013 and the figures are rising. It is the 14th most visited country in the world. I think we will be riding Mexico for a long time to come. And you should too. Yes. This is the beauty of our Mexico tours. Bring your own bike. (We’ve never had a motorcycle stolen, here or anywhere for that matter.) We’ll walk you through the easy and inexpensive process of getting insurance as well as the temporary importation at the border. Rentals are also available on request. What is the best bike for this tour? The one you like! We’ve had Goldwings, Harleys, dual purpose bikes, sport machines and even vintage and classic bikes. This tour is paved all the way. Do it now. The earlier the better. By the way this is a great platform for the creation of a custom or private tour. If you have a group of friends, ride in a club or would like for your dealer to sponsor a ride, this one is ideal. Spread the word. You’ll want to share the Colonial Mexico experience with others. We have a minimum of six people required for this tour to go. Usually the groups are small, rarely exceeding 12, which is a perfect size for good social mix and does not compromise the quality of service one bit. MotoDiscovery has the best tour staff in the business. Count on multilingual, fun and knowledgeable staff who really care. We are the best. Period.